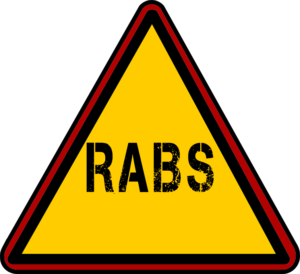 What is next for the RABS Bill? The Portfolio Committee on Transport has today adopted the final report on the benefit scheme, paving the way for an introduction of the Road Accident Benefit Scheme (RABS). The Chairperson of the Committee, Ms Dikeledi Magadzi, said the committee was satisfied with the amount of hard work that members of the committee had put into the pending benefit scheme. “We are satisfied that the new scheme is desirable to all South Africans. Through this bill, road accident victims will be able to receive more benefits than previously was the case in the old regime of the Road Accident Fund (RAF)” said Ms Magdzi. Since May of 2018 the committee had been seized with the RABS Bill, and has travelled the length and breadth of South Africa soliciting input from South Africans. The committee also hosted public hearings in Parliament where various stakeholders came to make input. The Bill is intended to, among other things, ensure that benefits are skewed towards the victim than sharing them with legal representatives that help with claims applications. But also it will ensure comprehensive medical benefits, timeous processing of claims, and also introduce a no-fault system. Ms Magadzi said no person is opposed to road accident victims benefiting from the scheme. “This has to be the basis from which we move, otherwise what claim would we have to the status of being called public representatives” asked Ms Magadzi. The Democratic Alliance and the Economic Freedom Fighters are opposed to the bill, but the majority of members of the committee accepted the adoption of the report. Distributed by APO Group on behalf of Republic of South Africa: The Parliament.